【ツ】Article sites, Press releases, Forum Profiles, Blog Posts, Blog Comments, Guest Book, PHP, URL Redirect, Social Bookmarking, Social Network Sites, WHOIS Sites, Wikis, Indexer, Micro Blogs etc. 【ツ】Sites are ranked from PR 1 to PR 9. Most of are High Page Ranked Websites. ✔✔ The diversity will create perfect authority for your site which will further ranked you UP on Google. ✔✔ These all will be sent to index for free of cost with my premium indexing service which will show you fast results. ✔✔ No dead links will be in the report. You can check it twice and make sure about it. 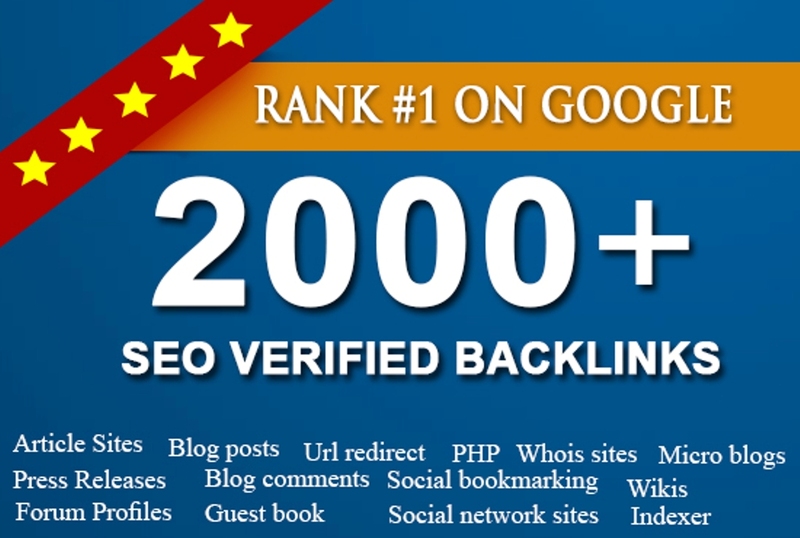 : NB: My Service Will Help You to RANK in the 1st PAGE of Google surely but that's not GUARANTEED as none can Guarantee this there are lots of other factors applicable to get TOP PAGE Ranking on Google which purely based on your Site's DA...nothing to do with us. So please purchase this HOURLIE only if you are 100% AGREED with this.